Hello and welcome. We are Farrah and Lara — just two people who are unapologetically obsessed with our dogs. When we found out that DNA tests for pets existed, we knew we had to test our beloved furry family members. Farrah was gifted Gizmo as a puppy when she was living in Arizona. The family told her that the dogs who gave birth to him were a mix of Chihuahua and Shih-tzu. Lara adopted Pepper through a center in Los Angeles and thinks Pepper might be part Maltese and part Yorkshire Terrier. Gizmo had first been named Oreo, and Pepper had been named Xena. We like to think our chosen names are more fitting. There are a few different dog DNA tests out there, but after doing some research we found that Embark was one of the easiest ones. AND WE LIKE EASY. Embark is a swab test that comes in a small box with step-by-step directions. The swab looks like a Q-Tip and the directions say to rub it in your dog's mouth for 30 to 60 seconds. Both Pepper and Gizmo weren't too happy about this part, but once we began massaging the swab gently along their gum line, they sat still and let us work. Once you're done with this part, you screw the top of the swab into the liquid capsule. Shake it back and forth 10 times before sealing it in the bag it comes with. BAM! You're done! The box that the kit comes in is also the box you need to mail it out (it has first-class package return service). Once you get your activation code, seal that baby up and drop it in the mail! Farrah found herself feeling a combination of anxious and curious about Gizmo's results. 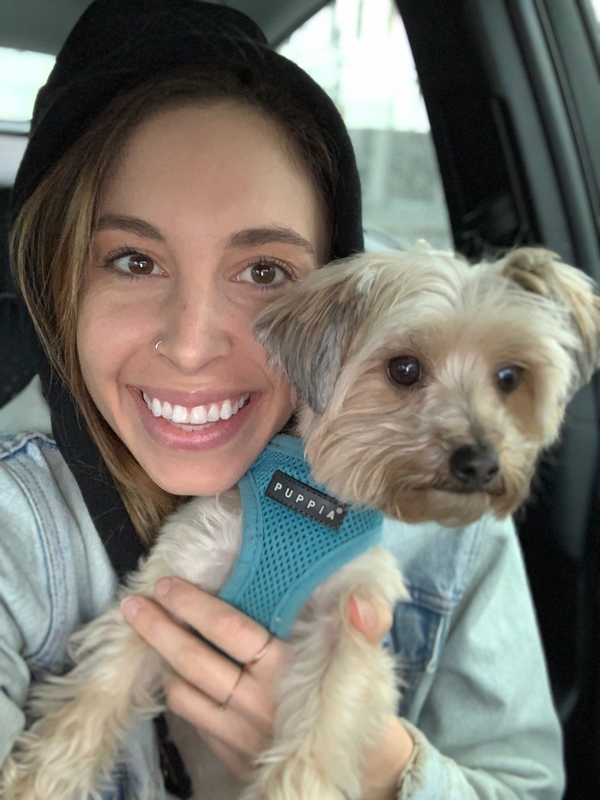 Farrah: Gizmo has been in my life through all my ups and downs the last seven years — through the passing of my father to a very hard breakup to achieving my dream of publishing a novel. HE IS FAMILY! Last year, I found out the hard way that he's deathly allergic to stinging insects. Almost losing him and seeing him in pain hurt me more than I can express, so what I'm most nervous about is getting his health results back and finding out something negative. He's like my little son, and I only want him to be healthy and happy. But at the same time, I'm eager to see what his breed makeup is. He absolutely looks the part of Chihuahua, but I'm not sure what else he could be. Lara was honestly petrified to see Pepper's results because she was scared it would reveal a myriad of potential health problems down the line and she is extremely co-dependent on Pep. Lara: Even though I was excited to learn more about my little dingus, and learn more about where she came from and why she is the way she is, I was mostly just petrified. Like, I could never decide if it was better to know if she could potentially have health risks, or stay ignorant because as they say...ignorance is bliss! I think everyone can be emotionally dependent on their pets in some ways, but with Pep I take it way overboard. She is like, everything to me??? And I know that's probably not healthy? But like Farrah, Pep has been by my side through the hardest times in my life. She is always there. And the thought that she could potentially have a health issue that may cause her to not be there as long was like, NO THANKS OK. However, I did want to know just how much yorkie Pep has in her because she's a little yipper. 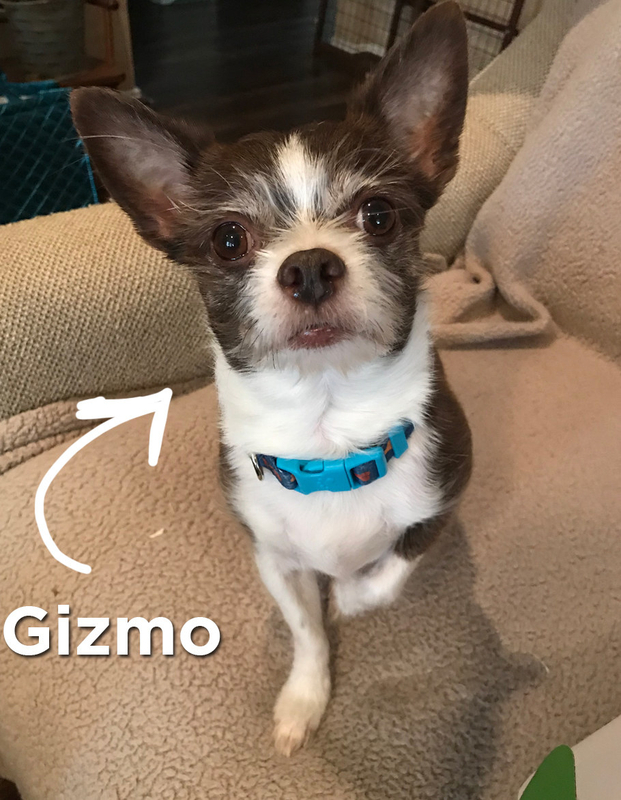 It was confirmed that Gizmo's family DID come from Chihuahua and Shih Tzu breeds, but Farrah was also surprised to learn that he's part Chinese Crested, Pomeranian, and Pekingese! Embark also gives you a whole page of information about these breeds, so it was fun getting to know why Gizmo might do certain things. 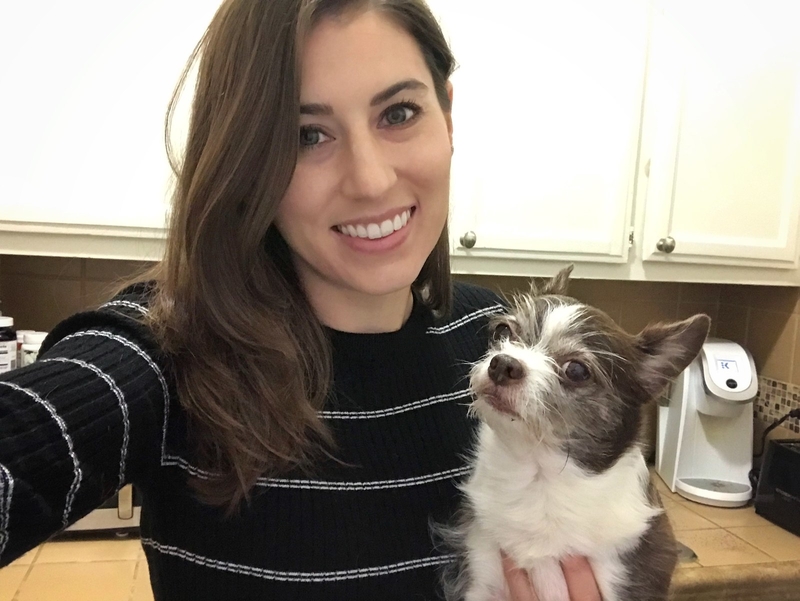 For example, it told me Chinese Crested dogs "enjoy sitting in high places, the back of a couch or the arm of a chair" — which is ABSOLUTELY true for him — and, "their activity level is medium to high, but they enjoy quiet times with their family and adjust well to apartment living." Also true!!!! They also make a little family tree for your pet! 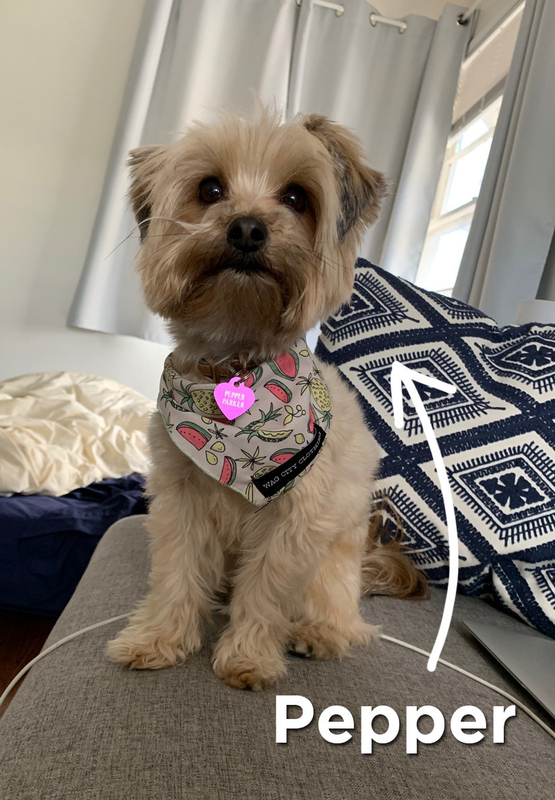 The only thing flagged on Gizmo's health report was one copy of a mutation in the ADAMTS17 gene, which means he is at some risk for developing Primary Lens Luxation. Naturally, Farrah freaked out before doing ANY research, and her brain went straight into worst case scenario mode. Without getting too technical, PLL is a hereditary disorder where the lens of the eye dislocates. Once I read more on Embark, I learned pets that have one copy of the mutation have minimal risk of developing PLL than those who have two copies. This put me at ease. It's definitely something I plan on letting my vet know — just because it's knowledge I now have. It turns out that Pepperoni & Cheese isn't pure maltese/yorkie like Lara thought, but mostly Yorkshire Terrier with a bit of Maltese and some Pekingese as well?? She was surprised. And seeing Pepper's family tree just made Lara want to hire a private detective to find her family so she could adopt them all. Like, does Pepper have siblings??? I need them. The best part, of course, was that lil Pepito didn't have any potential health issues flagged. Of course, this doesn't mean she's in perfect health forever, but for the ones they test for, she passed with flying colors! Did I cry when I saw these results? Yes. Am I crying again right now while writing this? Also yes. Overall, Embark was VERY easy to use and provided us with a detailed report about our doggos. This is a great service to use if you're curious about your pet's breed or if you have a breed that is predisposed to certain illnesses! Kits were provided to BuzzFeed free of charge.